Looking for a WordPress counseling theme that is visually appealing, easy to use, and responsive in various formats? Well, look no farther. This new premium counselor theme from CMSTF offers all of the above. The homepage layout is not only stunning to behold, but it's easily managed through the theme's premium, expanded widgets page. 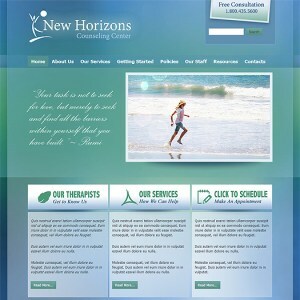 And with multiple page layouts, this responsive counseling theme will allow you to build out a site that is as user-friendly as it is professional in appearance.